I Am a Project Manager – Do I Still Have a Job? We had a manager who had the strong push and the idea to bridge the gap between the project management and the line management. The constant clash of focus and shift of responsibility (blame) existed. The idea was to lead the whole organization as a project. The roles are temporary – rotating and evolving as the current moment requests. Managers were supposed to be flexible and were asked to express their personal plans. 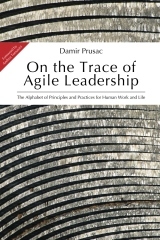 Agile transition brings changes to all roles in the organization. 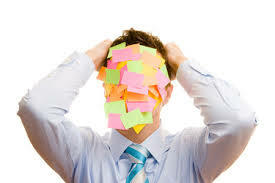 In a number of cases it “renames” project managers to team leaders or in a case of Scrum deployment to Scrum Masters. Some of them adopted a new way of thinking and put the team and motivation of individuals in focus. They leveraged the experience accumulated from before supported with the new knowledge and principles. Their influence in the organization is stunningly big. Features they do with the teams they facilitate are simply smooth. They realized how to empower people and yet reach a high level of transparency to tackle all the changes of inputs as well as to solve impediments on the way. They are becoming new agile leaders as we seek for. Other industries may differ, but in the software industry with the continuous integration, short iterations, frequent releases etc., nowadays leading methodologies do not require a “project setup” and consequently a typical role of the project manager as before. We need them in different role and acting. We need them as agile coaches, team facilitators, resolver of impediments; the nurses of the healthy teams. On the road getting there, we should treat them with a high respect! ← Are You Trying to Tell Me I Should Serve? !